Andrew Reed was a Congregationalist minister with a doctorate from Yale who encouraged philanthropy on a grand scale. Many of the schools and hospitals he founded live on to the present day. Born in St Clement Danes in Middlesex, England on November 27th 1787, he studied theology at Hackney Academy and was ordained a Congregationalist Minister in 1811. In 1830 he was instrumental in building the Wycliffe Chapel where he remained until 1861. He died on 25th February 1862 and is buried in Abney Park Cemetery in Stoke Newington, London. Together with his wife, Elizabeth Reed, he compiled a hymn book containing some 21 hymns of his own composition as well as a similar number of hers. Asylum for Fatherless Children – later Reedham Orphanage, still later Reedham School. Like RWS, the school has closed and been replaced by The Reedham Trust with similar aims. Asylum for Idiots at Reigate – later Royal Earlswood Hospital. “Idiots” being the unflinching term used in Victorian times for the learning disabled. In 1847 Reed toured Europe to gather information on institutions serving the purpose, in response to a suggestion by Ann Serena Plumbe and Dr John Connolly.The first superintendent was John Langdon-Down after whom Down’s Syndrome was named. The hospital closed in 1997 as part of the modern policy of moving such individuals into the community. The site is now occupied by luxury apartments. Royal Hospital for Incurables in Putney. – now known as the Royal Hospital for Neuro-Disability, and still active in the treatment of people suffering brain injuries and researching such treatments. London Orphan Asylum – Now Reed’s School and located in Cobham Surrey. The school still provides education for boys under the original foundation, as well as a much larger number of private pupils. In the 1950’s, when I was a pupil, much of the cutlery still carried the identification “LOA”. Reed associated with a wide circle of the rich and famous of his time. The “Royal” tag to so many of the institutions with which he is associated shows that these included Queen Victoria, who often provided funds in the name of her son, The Prince of Wales, later Edward VII. Other benefactors included Sir Morton Peto, Rev Francis Cox, Dr Leifchild, Miss Burdett Couutts of the famous banking family, and Lord Morpeth. 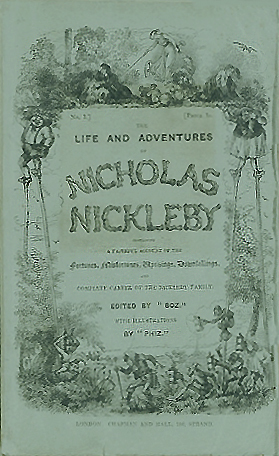 The writer Charles Dickens was another associate and it is not beyond the bounds of possibility that “Dootheboys Hall”, which features in “Nicholas Nickleby”, is based on one, or more probably, an amalgam of several, of Reed’s orphanages. Reed’s ministry and his work as an educator and social reformer were continued by his sons, Andrew and Charles, and his grandson, Talbot Baines Reed who is also well known as a writer of stories for boys. But in doing what I may for HIM who has done all for me. They know it will not suffer me to die out of loving remembrance. I can honestly say that Andrew Reed was a great influence in my life. Use the comments to tell me about someone whose influence contributed to making you the person you are today. By franklparker in General posts on April 21, 2016 .